UPDATED: Wed., Aug. 29, 2018, 6:36 p.m. 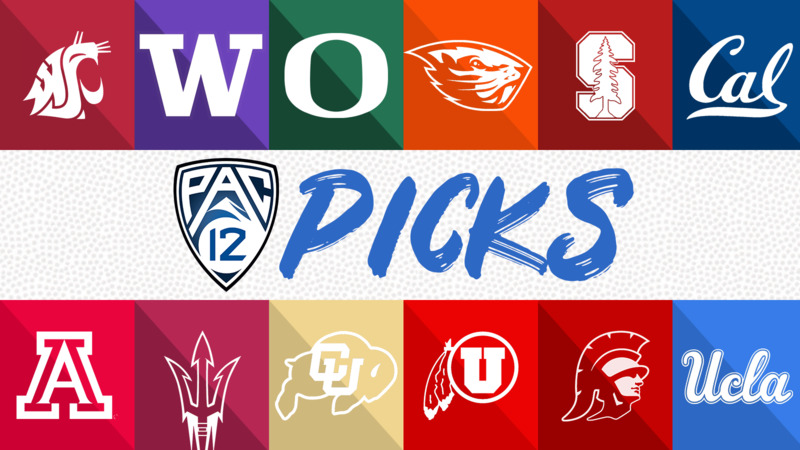 The Pac-12 Conference has College Football Playoff aspirations this year, and legitimate ones at that. But if No. 6 Washington can’t beat No. 9 Auburn at Mercedes-Benz Stadium in Atlanta Saturday, who knows if they’ll be legitimate for long? That’s the marquee game in college football this weekend, and easily the most interesting one on the Pac-12 slate. We predict Huskies-Tigers and the 11 other Pac-12 games transpiring this first week of the 2018 college football season. No line: Kyle Whittingham is just as good in season openers as he is in bowl games. The Utes have won their past 10 and the Pac-12 should be 1-0 on the season by Thursday evening. The pick: Utah 42, Weber State 10. Stanford by 14½: Last year in this game, both teams had Heisman Trophy candidate tailbacks (SDSU’s Rashaad Penny and Stanford’s Bryce Love). Now only one does. The pick: Stanford 31, SDSU 14. Colorado by 7½: CSU lost a tough one to Hawaii in its “week zero” opener and the Rams won’t have head coach/play-caller Mike Bobo on the sidelines in Denver. But the Buffaloes have some offensive kinks to work out, playing their first game in a long time without Phillip Lindsay, Bryce Bobo and Shay Fields. It could be a close one. The pick: Colorado 27, CSU 21. Ohio State by 38: Urban Meyer’s absence would be costly in just about every game on the Buckeyes’ Big Ten schedule. But what would Ohio State need to lose to truly be at a disadvantage against the Beavers? The offensive line? Every running back? All nine of Meyer’s assistants? You get the point. The pick: OSU (the Buckeyes) 48, OSU (the Beavs) 10. Auburn by 1½: Given the strength of the Pac-12 versus that of the SEC, this high-profile opener might only be a “must-win” game for one of these teams as far as College Football Playoff implications go. And I’d expect the Huskies to play like it. The pick: Washington 27, Auburn 24. WSU by 1½: The Cougars haven’t won a season opener on the road in seven tries. The Cowboys won their own last week, smashing pathetic New Mexico State in Las Cruces. Both teams are replacing big-name quarterbacks. The pick: will appear in Saturday’s newspaper. USC by 26½: The Runnin’ Rebels went 5-7 season last year and aren’t expected to do much better in 2018. It’s almost as if the Trojans knew they’d be breaking in an 18-year-old starting quarterback when they put this game on the schedule. The pick: USC 38, UNLV 14. Cal by 7: A drama-riddled offseason isn’t what North Carolina needed after going 3-9 last season – one of those nine losses being a 35-30 loss to the Golden Bears, who were knocking on the door of bowl eligibility last season. The pick: Cal 28, UNC 20. UCLA by 16½: Plenty of question marks on UCLA’s depth chart still, but the Chip Kelly-era Bruins will be able to win certain games based on talent and coaching alone. This qualifies as one of them. The pick: UCLA 33, Cincinnati 17. Oregon by 33: The Ducks haven’t lost a home opener at Autzen Stadium since 2004. Bowling Green, which went 2-10 last year with the nation’s sixth-worst defense, won’t be the one to break that streak. The pick: Oregon 52, Bowling Green 14. ASU by 18½: ASU might be the worst team on a UTSA nonconference schedule that also includes Baylor and Kansas State, but the Sun Devils should still pick up a statement win in game one of the Herm Edwards regime. The pick: ASU 35, UTSA 13. Arizona by 11½: BYU goes through the gantlet this year with games against Arizona, Cal, Wisconsin, Washington, Boise State and Utah. With the exception of Wisconsin running back Jonathan Taylor, the Cougars might not see another player as explosive as Khalil Tate. The pick: Arizona 49, BYU 31. Published: Aug. 29, 2018, 9:24 a.m. Updated: Aug. 29, 2018, 6:36 p.m.